ZESTRON is an international company that was founded in Germany in 1975. 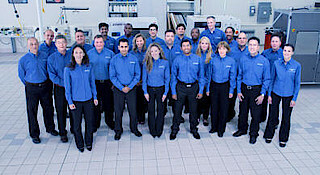 We are the Technology Leader for cleaning products and services for the electronic production industry. Our products are sold in over 40 countries world-wide and we have company headquarters in the USA, Germany, China, Malaysia, Japan, Korea and Taiwan. Our customers come from high-tech industries such as Military, Aerospace, Medical, Automotive and other fields. Our tremendous success originates from our strong emphasis on developing the most innovative cleaning products and services and our relentless customer focus, including but not limited to solving challenging process issues. Our team includes process engineers, sales engineers, technical assistants, product managers, marketing- and sales assistants. In addition to the career opportunities at its headquarters in Ingolstadt, ZESTRON offers you the possibility to develop internationally in one of our headquarters in the USA, China, Malaysia, Japan, Korea and Taiwan. Are you interested? Send us your application!